Terrariums are not the only method in which you can care for a small bunch of plants indoors. 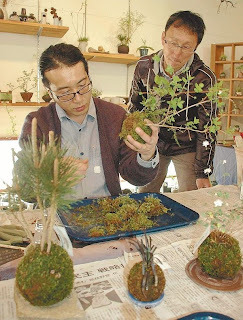 Kokedama is a planting method akin to bonsai gardening, and, according to the Japan News, is mounting in popularity in Japan. The joys of microgardening transcends methods and nations!